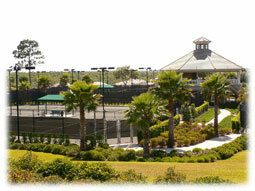 The city of Hernando Florida is centrally located in Citrus County between Beverly Hills and Inverness. 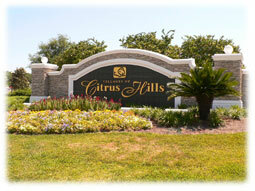 Much of Hernando is home to the Villages of Citrus Hills. The town is named after Hernando De Soto, the Spanish explorer born in the late 1400’s. In 1530, he joined Francisco Pizarro in the conquest of the Incas in Peru. Holy Roman Emperor Charles V (who also was king of Spain) appointed De Soto governor of Cuba and directed him to take possession of Florida, which at that time was a term applied by the Spanish to North America. In 1539, De Soto led a force of 600 men to a site near present-day Tampa to begin a search for gold and other valuables. They marched into the interior and up the west coast of Florida passing through Citrus County and what is now the town of Hernando and wintered near Tallahassee. Today Hernando Florida is an idyllic, residential community of rolling hills, panoramic vistas and lush manicured neighborhoods. Hernando has a mixture of families and retirees, with the Villages of Citrus Hills being primarily a retirement community. Hernando consists of several separate developments including, Hampton Hills, Fairview Estates, Heritage, Presidential Estates, River Lakes, Cornish Estates, Clearview Estates, Quail Run, Canterbury, Arbor Lakes, Crystal Hill Mini Farms, Arrowhead, Forest Lake, Apache Shores, as well as the newer Brentwood and Terra Vista. 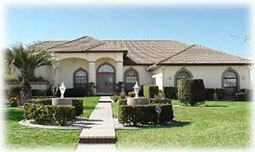 The exclusive, gated community of Terra Vista is the newest addition to the Villages of Citrus Hills. Situated on one of the highest points in Citrus County, the homes in Terra Vista offer one some of the most breathtaking views of the countryside. Some of the features of Terra Vista include the Skyview Golf Course, BellaVita Spa & Fitness Complex, Skyview Tennis Center, the Skyview Clubhouse restaurant and lounge, and a variety of social activities. 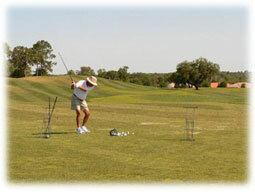 Homes for sale in Terra Vista range from one acre spacious estates to more modest homes right on the golf course. The Skyview Golf Course at Terra Vista joins the other two golf courses in Citrus Hills, the Meadows golf course and the Oaks golf course at Citrus Hills Golf and Country Club. These three 18-hole golf courses in Citrus Hills offer endless play for all skill levels. At the Skyview Clubhouse you will enjoy a fine dining restaurant and lounge with a dining observation deck overlooking the golf course, as well as a fully stocked golf pro shop, a Har-Tru tennis center with eight courts and observation deck. The newest addition to the Terra Vista amenities is the Bella Vita Spa & Fitness Complex, a state-of-the-art 45,000 square foot facility dedicated to health, fitness, and beauty. The fitness complex offers a fitness equipment wing, racquet ball courts, aerobics room, yoga room, indoor pool & spa, sauna and steam rooms, men’s & lady’s locker rooms, and professional spa services as well as a staff of fitness experts, the Bella Vita Spa at Terra Vista is one of the most advanced country club facilities in the nation. 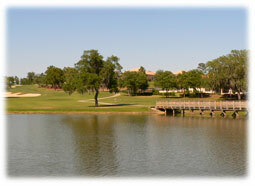 If you enjoy the country club lifestyle, Hernando Florida has just the right community for you.